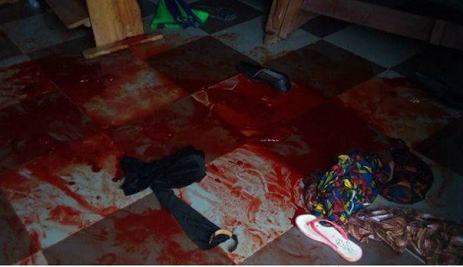 There was horror this morning at St Phillip’s Catholic Church in Ozubulu, a town in Ekwusigo local government area of Anambra state, when gunmen in mask stormed the church around 6:00am during Mass and gunned many down. Church members say the identity of the men are unknown, but they blocked the three entrances of the church and began to shoot sporadically. A lot of people also sustained injuries and have been rushed to the Nnadi Azikiwe University Teaching Hospital where doctors and nurses are battling to save their lives. The state governor, Willie Obiano has visited the scene and also stopped by at the hospital to see victims. Security personnel have also cordoned off the church such a terrible thing.